In this month's newsletter we look at the best ways to store your data and we explain why recording calls is a good idea. 3 reasons to upgrade your storage now! 3. Buy before June-30 and take advantage of tax time benefits. The HP ProLiant DL360p Gen8 Server series provides industry leading 2-socket performance and efficiency in a space saving 1U size. With Gen8 enhanced serviceability and configuration flexibility, this server is ideal for general purpose applications such as file/print or web as well as virtualization and cloud solutions. 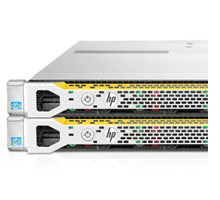 Buy an eligible HP DL360p Gen8 server from us and collect a cash-back worth up to $250*. Plus you could be eligible for an extra $50 gift card from HP. * Conditions apply. See landing page for details.